This Giveaway is now closed. Thank you everyone for visiting and commenting. The winner is listed below. I haven't participated in a giveaway in a while so what a better time to do one than with Sew Mama Sew's Giveaway Day. If you are new to my blog here's a little bit about me. My name is Kim. I have been sewing since I was a teenager and took up quilting 14 years ago. After that first class I was bitten by the quilting bug. 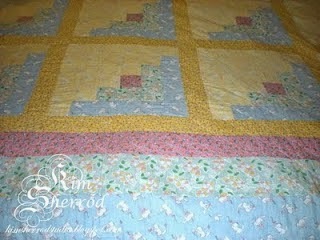 My first quilt was a log cabin quilt that I still have. I love to use all sorts of fabrics but 30's Reproduction prints are my all time favorite. Over the years I have dabbled in quilt and bag designs. I have also contributed a few patterns on the Moda Bake Shop. I love the whole design process. It's quite a challenge but so rewarding to see the finished product. These are a couple of the bag patterns I have designed and published. 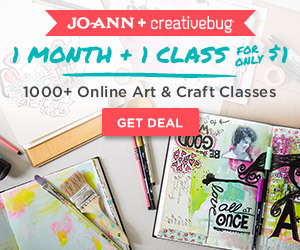 To celebrate Giveaway Day, I am giving away any one pattern of your choice in my Craftsy shop. I am a visual learner so I make sure that there are lots of illustrations to make it easy for beginning quilters and sewing enthusiasts to follow along. that Bloom zipper pouch is darling. Congrats bee!I will contact you shortly. Giveaway is open to everyone. 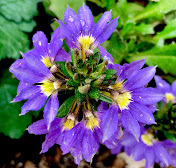 Being a follower is not required to enter but I would love it if you follow my blog. 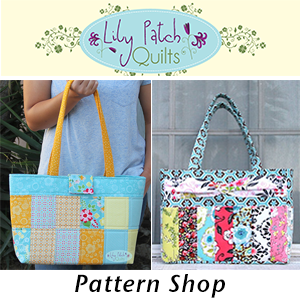 Visit my shop and leave a comment below on your favorite pattern. This will be the one you will win if you are chosen. Make sure I can get a hold of you if you don't have e-mailed en-abled in your blogger profile. Follow me on Facebook or Instagram for additional entries. Leave a separate comment below. Giveaway will close May 16 at 5 pm. I will announce the winner shortly after on this post. I love Sweet Little Pleats! Oh the Tote Along Tool Caddy looks perfect - great size. I like the Bloom Zipper Pouch. It looks simple enough for a beginner like me! I love Sweet Litle Pleats. Sweet giveaway! I love that Tote Along Tool Caddy pattern! I follow you on Bloglovin and FB. Thank you for the giveaway. I like the Somerset Bag pattern. (I already follow via GFC. The sweet love table topper since I'm still new to this sewing thing and not yet ready to battle 3-D shapes! Thanks for the chance! I love the tool caddy pattern! Thank you for the chance to win! I like the sweet little pleats bag! Oh I love your Tote Along Tool Caddy. That would be perfect for me to make. The Tote Along Tool Caddy is darling!!! The Tote Along Tool Caddy is my favorite. I love the Tote Along Tool Caddy! THe "Take Along Tool Caddy", hands down! How neat! Found you on the Sew Mama Sew blog giveaway! 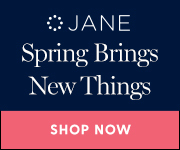 I follow you on bloglovin and like the Tote Along Tool Caddy. I love the Sweet Pleats and the Tote Along bags. I love your choice of fabrics. Star Burst Wallhanging is lovely! And so is the Take along Took Caddy. Talented lady! Thanks for the giveaway. I am a long time follower on blogger. I love your everyday clutch. Thanks for sharing! Such cute bags! Thanks for the giveaway! I like the Tote Along Tool Caddy. Love the Tote Along Tool Caddy, so that's my pattern pick. I really like the Somerset Bag pattern! Thank you for sharing! bloom zipper pouch! love it!!! Definitely Sweet Little Pleats Tote Bag! Sweet Little Pleats or the Tote Along Tool Caddy! SO stinkin cute! I like the look of the Tote Along Tool Caddy. I really like that tool caddy, but really I think it is the fun fabrics and colors you chose to make it in that sells it for me. The totes along tool caddy! Sweet Little Pleats Tote Bag would be amazing to try. I love your patterns, and if I don't win, I may just have to buy it anyway. Just don't tell my husband! I have been wanting to make the tool caddy for ages!! And I follow your Facebook page :) Thanks for the giveaway! I love your Somerset bag , thanks for the chance to win . Tote Along Tool Caddy - darling! That tool caddy is super cute. I would make one for my daughter. She'd love it! i like the bloom zipper pouch. Oh I love the Tool Caddy. I particularly like the colors you chose. Super nice. I would love to have Sweet Little Pleats Tote Bag. Thanks for the chance to win. Only one? LOL! Your patterns are FAB! I guess I'd pick the sweet little pleats bag... Thanks!! I really liked all of your patterns but it looks like the SweetDreams Quilt Pattern will be my choice. Thank you for being a part of the Sew Mama Sew giveaway and being so generous with your patterns. I would like the Tote Along Tool Caddy. I love Sweet Little Pleats. It is so cute! Good choice of colors for your bags! I love your The Somerset Bag Pattern Pattern. Thanks! I love your Tote Along Tool Caddy! Hi Kim - thanks for the chance of such a lovely win - I love the Somerset Bag - it would suit all sorts of fabric styles. I love the take along tool caddy ! Have added it to my list of things to buy if I don't win ! Your Tote Along Tool Caddy is fabulous, I'd love to make one. Thanks for the chance! The tote Along tool Caddy is the perfect tote for me. Love the tool caddy tote! It's so hard to choose, you have several great patterns! I really like the tote along tool caddy and the bloom zipper pouch. If I win, surprise me! Thanks! I follow on Bloglovin' and Facebook! I love the Sweet Little Pleats bag! 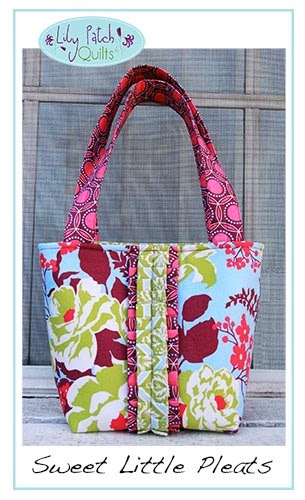 I would love to win the tote along tool caddy pattern! I like the look of the tote along tool caddy. Thanks for the chance to win. I like the Tote Along Tool Caddy. The number of pockets is a draw for me! The sweet little pleats pattern is my favorite. It is truly sweet. I like how it could be a tote or a purse because of the design. I follow via FB. Thanks again. The Tote Along Caddy would be perfect! I so need something like that! Thanks for the chance. Love the Somerset bag pattern. Great giveaway! Thanks for the chance to win. You've got some fun patterns! Guess my favorite is the Tote Along! Cool patterns. 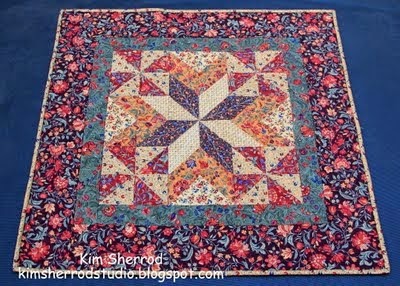 Stars are my favorite so I especially like the Sweet Dreams quilt pattern. Thanks for the chance to win. I love the Little Pleats! I the Bloom Zipper Pouch is my favourite. Thanks for the giveaway ! I love the Tote Along Tool Caddy! Thanks for the chance! I would love to try the Tote Along Tool Caddy. It looks like it would be great. The Somerset Bag Pattern would be great! 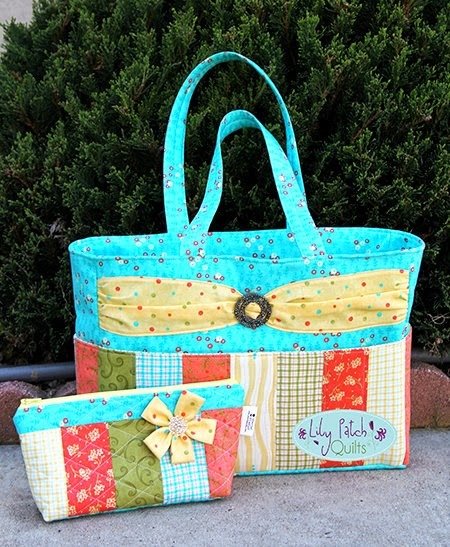 Love your sweet little pleats tote pattern - so cute! I like the Starburst wall hanging pattern. love the tote a long! THANKS!! Also, I am following you on FB! Following on FB and on Bloglovin'. I hope you are safe from the fires. Love the "Tote Along Tool Caddy". It's feminine and useful! I like the tote along tool caddy. Lovely patterns! I love the sweet little pleats pattern! I love the Tote Along Tool Caddy. All of the patterns are cute. But I really like the Sweet Little Pleats Tote Bag Pattern. I love your Somerset bag. When I saw the Sweet Little Pleats Tote Bag, I was like "That'd be perfect for my daughter's church bag," and then I saw that that's what you used it for, too! So sweet. I like Sweet Little Pleats Tote...so cute. Thanks for this giveaway. I would love the Tote Along Tool Caddy, it would be great for traveling back and forth to the farm with my EPP. Your patterns are lovely! My fave is the Somerset bag. I love the Sweet Little Pleats bag, how darling! Thanks for the opportunity! I love the Somerset Bag! It looks fun and like it could handle my crazy life. I really like your Bloom Zipper Pouch. Looks really handy.